JANESVILLE, Wis. (AP) — William Breyman knew after buying school supplies for himself and his four children that money would be tight during the first month of school. Then his “check engine” light came on. Breyman took his car to a mechanic. If the problem wasn’t fixed, he was told, things could get a lot worse and more expensive. Breyman’s financial situation might have been tougher right when he got out of the Air Force in 2014, but today he’s on a fixed income, he said. Money is still a concern now that he’s at UW-Whitewater studying social work. Where would he find hundreds of dollars to fix his car? How would he drive his kids to school? How would he drive himself to school? 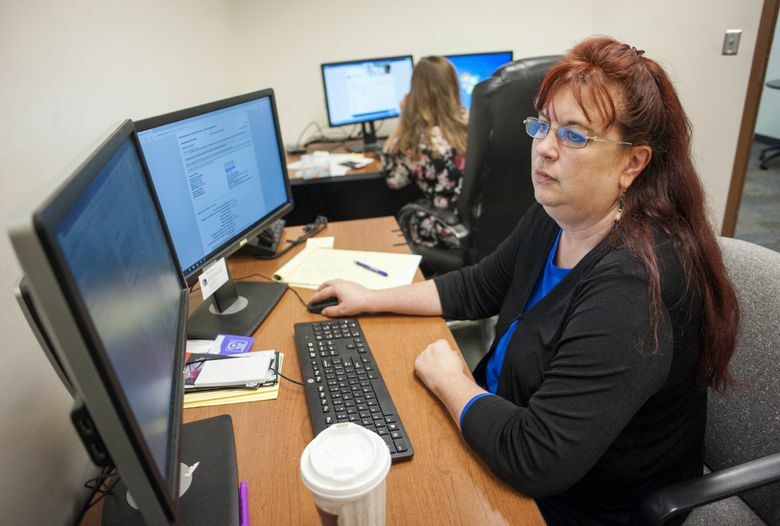 Lauren Smith, director of adult learning at UW-Whitewater, said she knows how quickly a financial emergency, such as a broken car or sudden illness, can derail a low-income college student’s life. The Janesville Gazette reports that to help students weather these financial crises and keep them in school, Smith applied for and received a $315,000 grant from the Great Lakes Higher Education Corporation & Affiliates to distribute to students in emergencies. She said she hopes the Warhawk Emergency Fund can keep students_those whose finances mean they’re dangling by a thread_from dropping out. Smith has had students who couch surf for a place to sleep, others who have lived in homeless shelters and some who go to class sick because they couldn’t afford their health insurance copays, she said. “I absolutely think that a lot of people don’t realize how difficult the lives of some of our students are,” Smith said. Almost 30 percent of 2015-16 UW-Whitewater undergrad students received Pell Grants. That is slightly higher than the UW System average of 27.5 percent. Pell Grants are federal money given to students in financial need so they can attend college. UW-Whitewater has been looking for ways to better serve low-income students, Smith said. Her experiences with students going through financial struggles motivated her to apply for the grant. Students who have expected family contributions of $7,000 or below can apply to the fund online and receive up to $1,000. A committee reviews applications before approving or rejecting funding. None of the money goes to university expenses, Smith said. The money is paid directly to the third party — such as a mechanic, doctor or daycare — so students are not handed the cash, she said. “There isn’t much potential for abuse here,” she said. Although there is a process in place to ensure accountability, Smith said they recognize situations can be urgent. The money can be awarded within 24 hours, she said. 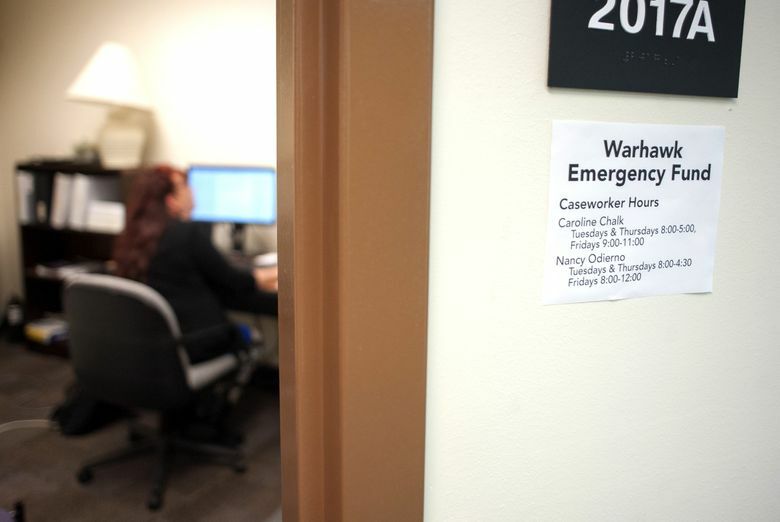 For the most part, the funding is a one-time thing, but case managers for the fund also connect applicants with financial literacy programs and other student services, Smith said. This way, students can be better prepared or secure in case another emergency comes up. Students who drop out of college because of a tough financial situation might find themselves only going into a deeper hole of paying off loans and limited job opportunities, Smith said. Nancy Odierno understands that life can happen. She began her undergrad time at UW-Whitewater in 1982 as a first-generation student, but she left when a job opened up. She then went to work without a degree for 25 years. It was a “huge leap of faith” for her to leave the security of the working world to finish what she started so long ago, she said. When she returned to UW-Whitewater in 2013, she was a single parent with two kids. Going back to school was an adjustment — she wasn’t looking forward to math class, and her kids loved sending her off to do her homework. Now Odierno is close to finishing her graduate program and is one of the case managers who facilitate the Warhawk Emergency Fund. She shares a tiny office with Caroline Chalk, another graduate student in the counseling education field. So far, Chalk said many of the funding applicants have been nontraditional students, some of whom have children of their own. “That adds an extra layer of empathy,” Chalk said. Odierno understands the experiences of some students who apply for the emergency funds. She’s missed classes because she didn’t have enough gas in her car, she said. She knows as a first-generation student herself that it’s easy to get lost in the red tape when you aren’t as familiar with college life or living on your own, she said. Odierno said he knows that life can happen and people can learn from the hiccups. As she has reinvested in her education, she wants to see others succeed, she said. Since the school year started, the fund has helped 29 students and awarded almost $26,000, Chalk said. Breyman received the about $750 he needed to get his car fixed. It was a bullet dodged. “My vehicle would have eventually gotten to where I couldn’t use it,” Breyman said. “That would have stopped me going to school. And in addition to my vehicle (that) would have broken down, how am I getting my kids to school?